It's been years since I've bought a business oriented laptop, having relied on desktop machines of late. I did keep an old laptop around for the few occasions where I found myself needing to get work done away from my desk. Sure it was heavy, had subpar battery life and wasn't a joy to work on. But it worked and I used it so infrequently I couldn't justify buying a sleek new machine to replace it. With our extended trip to New Zealand coming up, I realized I needed to revisit the topic. For most trips, relying on my foldable bluetooth keyboard and phone works. But for this longer adventure, I wanted to know that I could handle any dev request that came my way. Strolling through Best Buy, it was tempting to go all out and buy a super thin and super light laptop. But the cost, both in dollars and setup time dissuaded me. 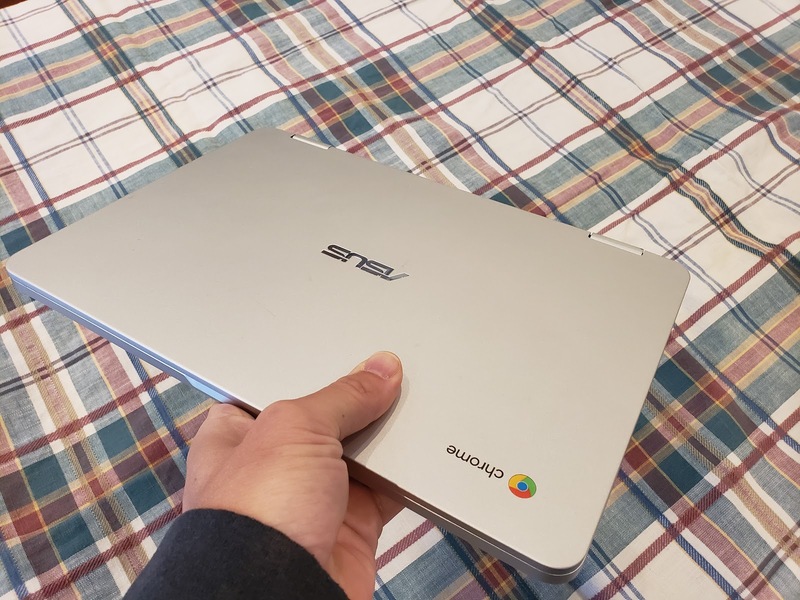 Instead, I opted to buy a Chromebook ASUS C032C. I hoped Chrome OS would serve as a sort of zero maintenance web terminal. 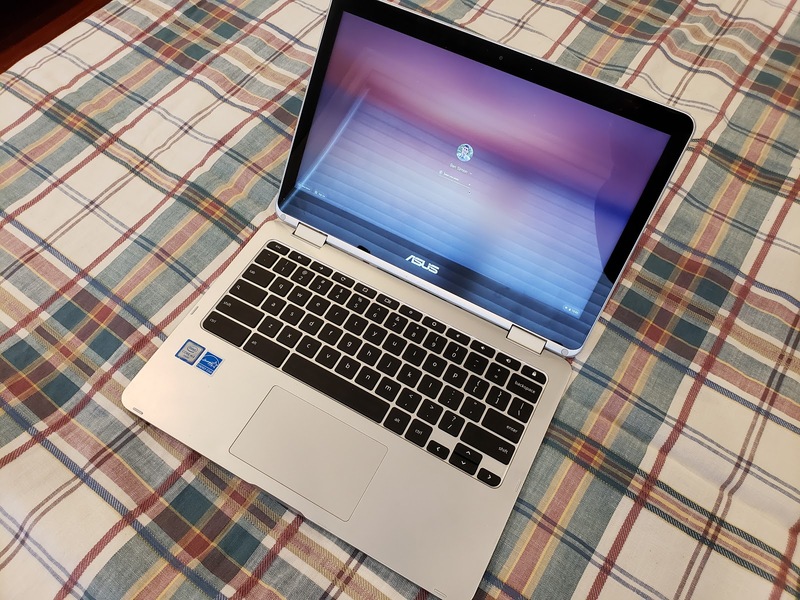 After having used the laptop on two trips (one to Puerto Rico and the one to New Zealand) I can report that I couldn't be more satisfied with my purchase. The hardware is ideal. 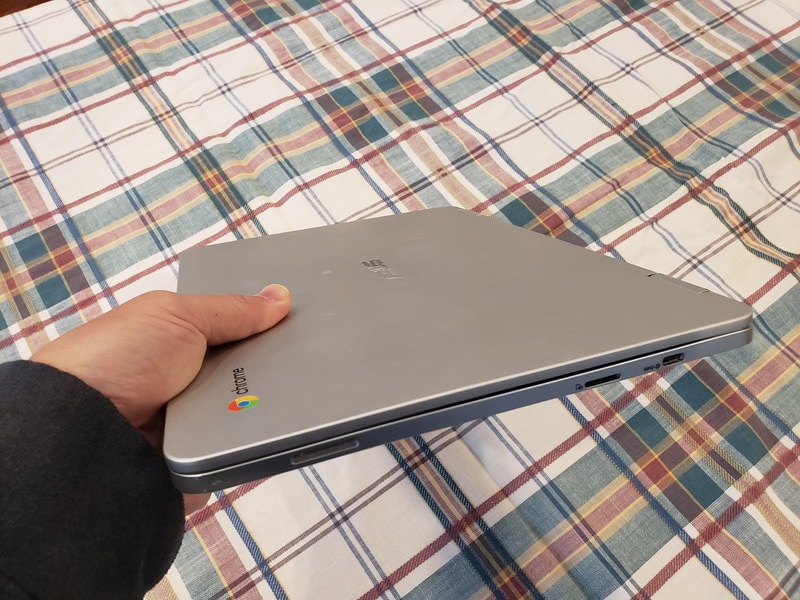 The laptop is thin, lightweight and has a reasonable keyboard and screen. 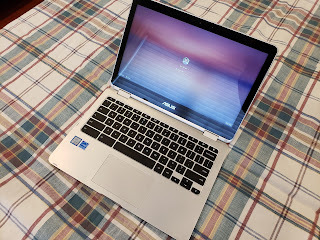 The choice of offering only two USB-C ports for connectivity was off-putting at first, however, the setup has grown on me. The real win is that I can charge the laptop using the same USB-C cord and charger that I use for my phone. Charging the device this way is slow, but it does the job. And speaking of charging, the battery life on this laptop is extravagant. They claim it can go 10 hours on a single charge. It may not last that long, but it does last hours longer than any other laptop I've owned. The ability to fold back the screen to make either a tent or a tablet is nice a bonus. I typically use the device as a standard laptop, though there's no doubt that portrait tablet mode is a win for reading lengthy documents. What makes the device truly rock is the software. As I'd hoped, the device is essentially maintenance free. I registered my work and personal Google accounts and just like that I was up and running. Gmail, Drive, Photos--they all just work. It's a joy. 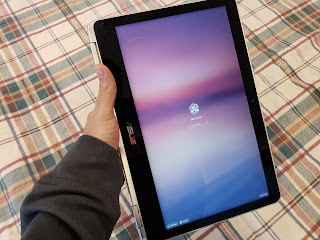 Finally, the Chromebook comes with a trick up its sleeve I'd not anticipated: you can run any Android App on the device. So when I needed to have a Skype call, all I had to do was install the standard Android Skype app. And when I needed to jump on a VPN, installing the OpenVPN App did the trick. In short, I'll gladly take my ASUS Chromebook over a Windows laptop, Apple iPad or Android tablet. This thing rocks.